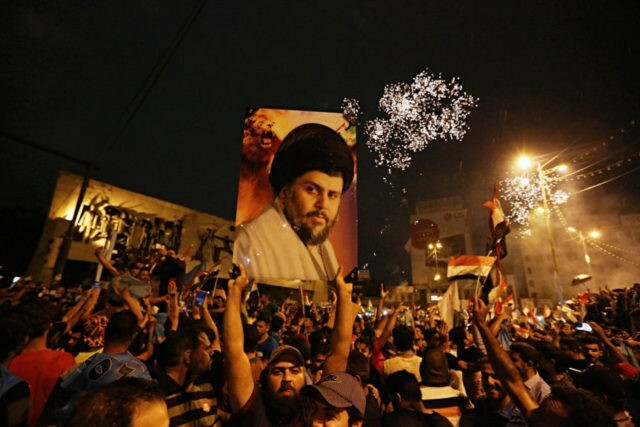 Unknown gunmen reportedly attacked two military and religious bases belonging to Muqtada al-Sadr’s Sadrist Movement on Wednesday in Maysan province in southeastern Iraq, on the Iran-Iraq border, following the Shiite cleric’s preliminary parliamentary victory. In the Kurdish region of Sinjar, Iranian-backed militias of Hashd al-Shaabi (Popular Mobilization Forces, PMF) have reportedly threatened a Kurdistan Democratic Party (KDP) official. The Iraqi Kurdish outlet BasNews reported that the KDP, which is led by President Masoud Barzani, won the majority among Kurdish political factions.